If you are looking for a small, charming hotel in the center of Madrid, pay us a visit! 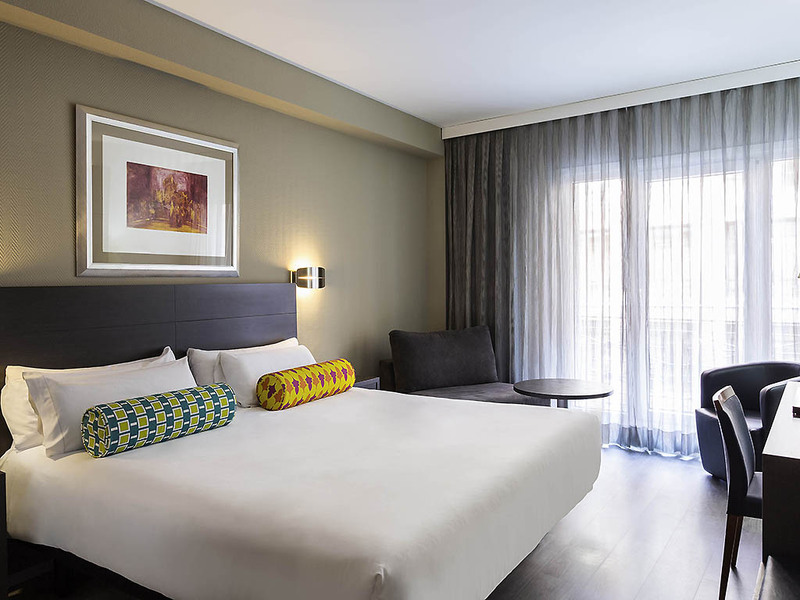 Mercure Madrid Centro Hotel is in an exceptional location in the center of Madrid, just 5 minutes walk from Prado museum, Thyssen-Bornemisza and Reina Sofia, the Madrid AVE Atocha station is also nearby. It's a 20-minute drive from the airport. This hotel has modern, comfortable and functional rooms with free Wi-Fi. It's ideal to come for work, with 3 meeting rooms and a photocopying service. If you like art, you could spend hours in the Prado, Thyssen-Bornemisza and Reina Sofia museums, and Retiro Park and Paseo de la Castellana are ideal for a stroll. Whether you want to relax, work or escape, Madrid is the perfect city for you! Fully equipped rooms ensure that our customers have a pleasant stay. Enjoy rooms inspired by the Golden Age of Spanish Literature, the works of Lope de Vega and 17th-century Madrid. Standard Room with additional bed.